About Coastal Service and Supply, Inc.
Our purpose is "To provide superior products, combined with exceptional service, in a manner that delights our customers and reinforces their decision to put their trust in us." Coastal Service is a full service generator and pump repair facility with factory certified technicians who are trained to maintain the pump and generator systems we sell. They are on field service call 24 hours a day to meet any emergency needs that could come up. Each employee is also certified through a service training program to ensure competent and friendly service. We are constantly setting a higher standard within the generator and pump industry. Our company continues to train our own employees through webinars, and by attending the international trade show each year. Here, they receive the latest information about equipment, educational programs, and state of the art industrial pump and generator technologies. We are also a licensed fire sprinkler company and a licensed plumber, which makes us unique in our field. 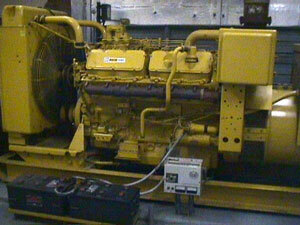 We service and sell backup generator systems to power the water pumps and fire pump systems. Coastal Service aligns itself with only the best industrial generators and pump manufacturers in the industry. 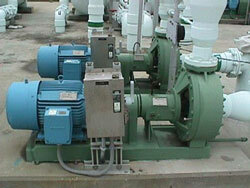 We provide pumps and controls which are manufactured by the leaders in the generator and pump industry. The products we sell are reliable and will last longer. You get what you pay for and we want our clients to get the most bang out of their buck. New laws that apply each year or will apply in up coming years, are presented to us so that we can better prepare our customers for the coming changes in local and national codes. We are members of the following professional organizations. Coastal Service is a full service pump and generator repair facility with radio dispatched, factory certified technicians. Our technicians are on call 24 hours a day to meet your emergency needs. Coastal Service is constantly setting a higher standard within the generator and pump industry. Call us for more information about our custom dynamic balancing and other in shop services, such as impeller trimming, pump repairs and electrical motor repair. We serve Pinellas County and all of Florida'a West Coast.